Within this figure are different types of refugee. 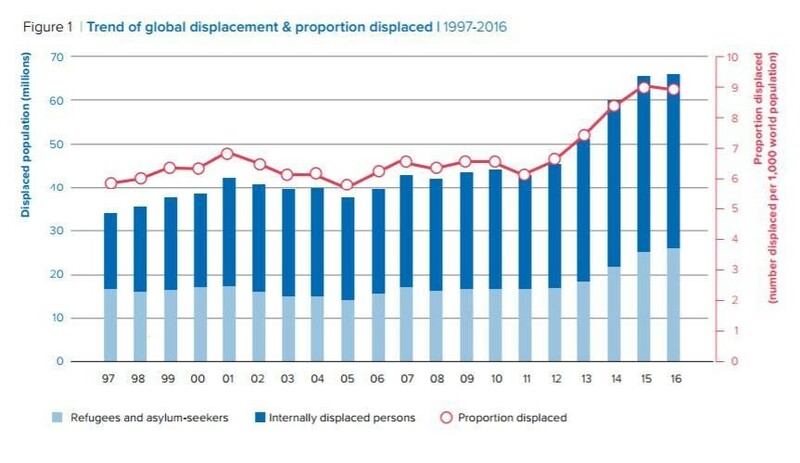 Most - 40.3 million - are people displaced within their own country, according to the UNHCR’s annual Global Trends report. This is a slight dip on the year before, but the figure still makes up almost two thirds of the total global refugee count. Most of these people are based in war-torn Syria and Iraq, alongside those uprooted by conflict in Colombia.